It’s that time of year again! With the coming of Fall brings Schmittel’s Annual End-Of-The-Season Tree Sale! 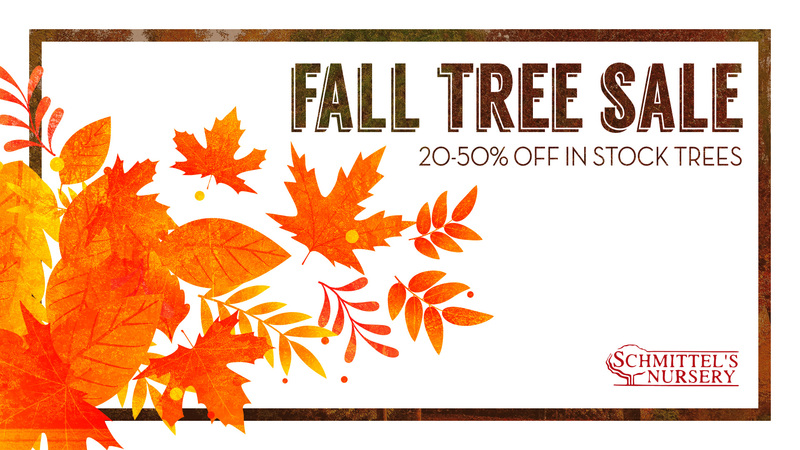 Fall is the perfect time to plant a new tree, so take advantage of the special savings on our remaining tree inventory. Receive 20-50% off in stock trees until the end of the year! *Fall Tree Sale pricing excludes all Japanese Maples trees & all Evergreen trees. Want to Learn More About Our Sale? Give Us A Call or Visit Our Nursery!